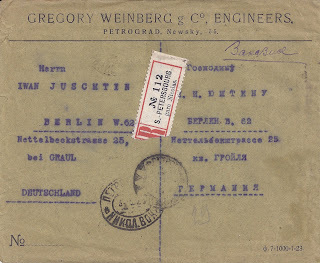 Here is a March 1923 commercial registered cover from Petrograd to Berlin, the stamps cancelled with an oval railway station PETROGRAD NIKOL. VOKS. 3 3 23. 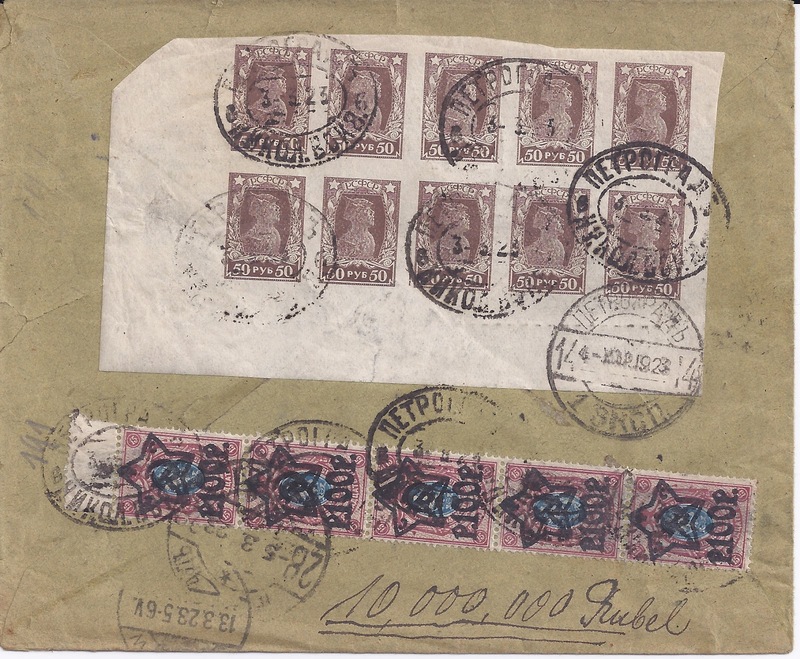 But the Registration label - in French, for foreign mail - is pre-First World War, reading S.PETERSBOURG gare Nicolas. I have seen this before - but possibly it was this cover that I saw. It shows - if you like - how relaxed Soviet authorities were about using up old Imperial paper stocks. 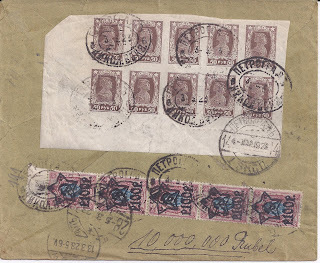 The cover is correctly franked to 10 roubles in 1923 new currency (each stamp revalued to 1% of its former value) or 10 000 000 roubles in the immediately preceding currency period - it is probably some "collector" who has written the "10,000,000 Rubel" at the bottom of the cover back, underlining it twice in case we miss the point.